PSC is a progressive disease in which the bile ducts of the liver are narrowed as a result of inflammation and scarring. 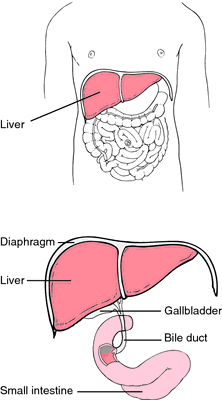 Allyl alcohol, also a large-scale industrial chemical, causes a different form of liver toxicity: acute hepatic periportal (zone 1) necrosis. 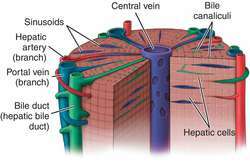 Animal studies had suggested that cells from bone marrow could develop into liver cells. 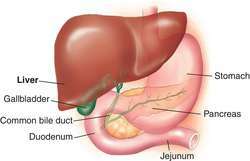 Fatty liver is the accumulation of abnormal amounts of fat in liver cells exceeding more than 5% of weight of liver. 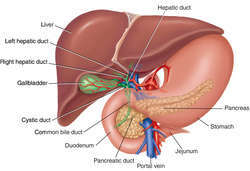 Lee said that fatty liver is often discovered in middle-aged patients, or those aged 40 to 60.
iPSC-derived liver cells not only can be generated in large amounts, but also can be tailored to each patient, preventing immune-rejection problems associated with liver transplants from unmatched donors or embryonic stem cells," she added. I had a sinking feeling that my liver was failing again. After similar surgery, mice lacking a gene called FXR didn't regrow liver tissue as well, the researchers report in the April 14 Science. Expression of TNF-[alpha] and liver injury in mice after coexposure to Pb plus LPS. When a patient's blood is pumped through the fibers, the blood is cleansed of impurities and toxins that accumulate in liver failure. Moreover, the ability to place these cells in 'suspended animation' at room temperature will enable more efficient utilization of HepaLife's artificial liver device in its clinic or hospital setting.